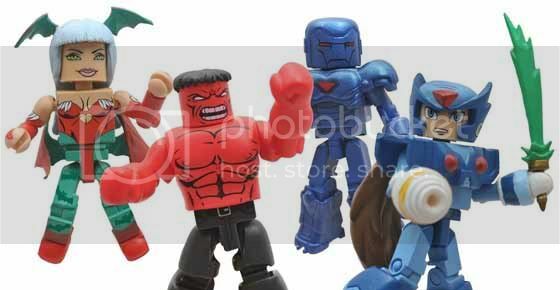 More SDCC Marvel Vs Capcom 3 Exclusive Minimates Show Up! I'm still recovering from the thought of not being able to grab the San Diego Comic-Con exclusive Marvel Vs Capcom 3 Minimates then these new SDCC only MVC3 minimates pop-up. Initially these minimates will be sold exclusively at the convention then will eventually be available online at Toys'R'Us for a limited time of course. Maybe I should just get used to the pain of being far away from the things that make geeks like me complete. I just wish a fairy geek mother out there would just send me there at no charge of course then back here where I belong. 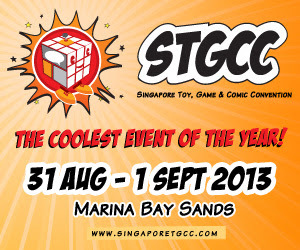 Or you can just be a God given sponsor, either way if you get me to SDCC for free I'll probably worship you!